Swords of the Wanderer is a Royal Arms Weapon in Final Fantasy XV. "A king was quick like the wind and went where no man had gone before. These were his blades. Apart they rain fury – together they deliver thundering blows." 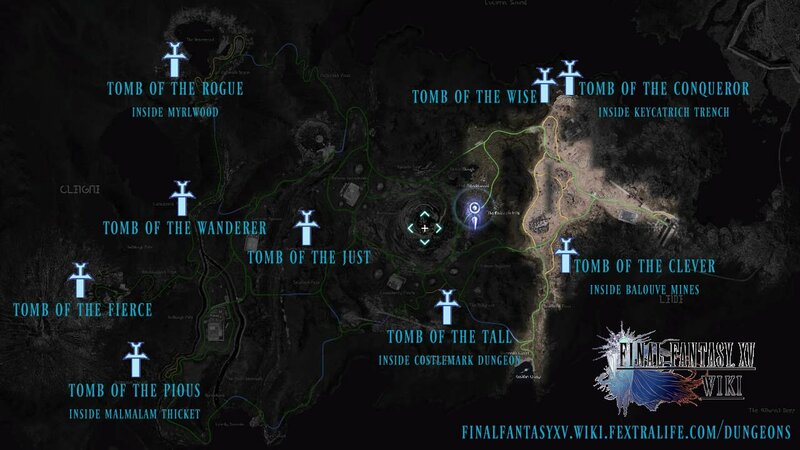 Tomb of the Wanderer - You will find this tomb while on the quest: The Sword in the Waterfall. The tomb is located inside the dungeon behind the waterfall.